How do I send emails from a Bid List? More traditional way of creating email messages. Recommended method if you need to send an attachment. If you select multiple recipients, only one email is created. You need to manually send the message after it is created. Creates and sends individualized email messages to selected contacts. Similar to a mail merge where you can insert fields that will be customized for each recipient. 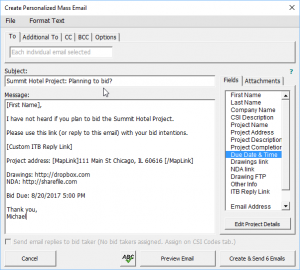 Recommended method for sending out Invitations to Bid or messages where a personal touch is required. Emails are both created and sent. Create email message. 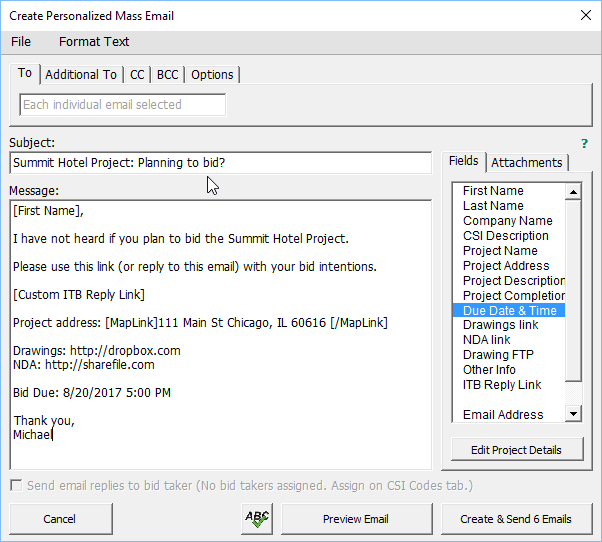 Insert merge (ie First Name) field to customize each message. The email sent date and time, from, and subject are logged using either email method. 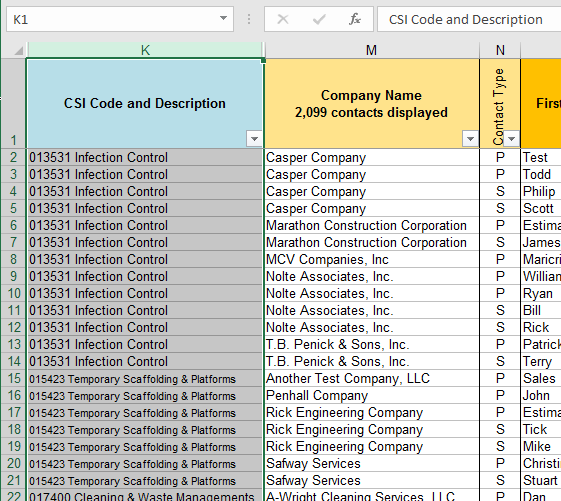 With either method, emails are created for whichever contacts are both visible on the sheet AND selected. 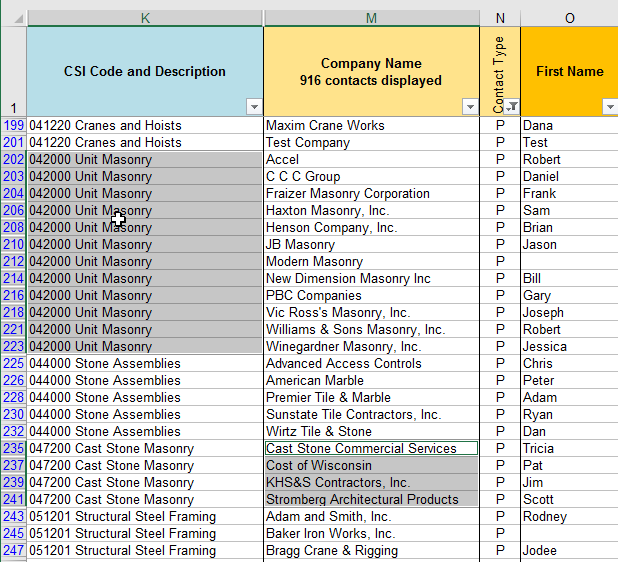 To email just the Unit Masonry and Cast Stone Masonry subcontractors you just select the first set, hold the Control keyboard key, and select the next set of recipients. You can do this as many times as you like. Again, the emails will be created for whichever contacts are both visible and have a selection anywhere in the row. ← How do I disable 3rd party add-ins?